Ezoic provides automated website intelligence for ads, content, layouts, and more. Publishers use Ezoic to access powerful tools and applications, gain exposure to unprecedented analytics, and run sophisticated experiments. Ezoic allows publishers to leverage the power of true artificial intelligence on their websites. This includes the ability to collect important data and automate decisions that improve visitor experiences, SEO, and website earnings. Ezoic’s Ad Tester allows digital publishers to perform automated ad placement testing. Ezoic learns how visitors respond to different placements and makes automated adjustments to improve user experiences and total revenue per session. Ezoic’s Layout Tester allows publishers to test multiple website layouts (mobile, desktop, or tablet) and automatically adjusts the site to deliver each visitor the layout that is going to best balance user experience and revenue. You can set up a server-side competitive bidding auction for your ad inventory live on your site using the Ezoic platform. Your own bidding partners can compete with Ezoic partners over your inventory. An easy way to implement successful header bidding. Ezoic’s Big Data Analytics allows publishers to track visitor engagement and authentic behavior on their digital properties. This gives publishers access to data — unavailable through Google Analytics — around SEO, ad earnings, & more. Ezoic’s AMP Converter creates AMP versions of your site’s pages without the typical loss in functionality or earning potential. Ezoic is a certified Google Partner and includes all of Ezoic’s existing multivariate testing technology inside of AMP. Ezoic is not an ad network; which allows us to provide Ad Mediation. This gives publishers the ability to enter all of their existing ad partners onto an even playing field where they compete to give publishers the best ad rates. A platform filled with tools to help you improve everything from SEO to ad revenue. Ezoic is an intelligence layer that allows you to keep your existing ad stack and demand partners. Ezoic delivers objective data on how ad campaigns, programmatic, and visitor experiences affect each other. Track and improve authentic visitor engagement. Ezoic collects advanced analytics on visitor behavior and allows publishers to make automated adjustments to their sites that help them balance reader experiences and revenue. Improve performance. Use Ezoic’s platform tools to increase site speed, improve security, and test everything from ad placements to mobile technologies like AMP. Ezoic is used by everyone from popular bloggers to some of the largest media brands in the world. Ezoic is compatible with every type of website, CMS, host, programming language, and ad provider. Publishers can start off by using Ezoic on only a small percentage of their traffic to prove just how effective the technology can be. Ezoic is a data-driven platform that allows websites of every shape and size to benefit from the power of big data. You can gather advanced insights through Ezoic’s Big Data Analytics application or run automated tests that are pre-designed by Ezoic to help increase revenue and improve user experiences. Ezoic doesn’t require a credit card or contract to get started. Publishers can even control how much of their traffic they would like to expose to Ezoic tools and technology. 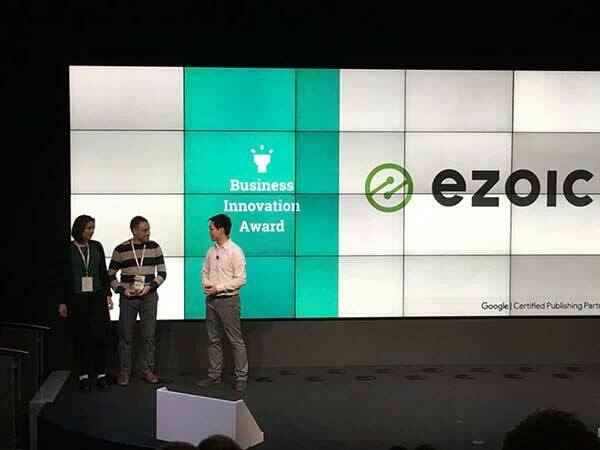 Ezoic (ee-zo-ic) is a Google award-winning platform founded by Dwayne Lafleur, the former Founder & CEO of the first Facebook advertising network, Cubics. During his time at Cubics, Dwayne realized that most publishers lacked the resources, data, and knowledge to scientifically analyze, test, and improve their sites objectively; which led to the creation of Ezoic. Ezoic realized that the amount of testing and learning that would need to be done to truly optimize a site’s full potential was outside of the ability of a single human, or even a massive team of humans. That’s why we built a platform that leverages true machine learning to help our platform users automate the tests and adjustments needed to maximize a site’s true value. Ezoic is now the leading artificial intelligence platform for publishers. Ezoic is headquartered in North County, San Diego CA, with offices in San Francisco, London, and Newcastle, U.K. Ezoic has thousands of popular websites and major media brands actively using the platform today that send well over half a billion visitors per day through the Ezoic technology.